Once again its been a busy few weeks both in our Derby works and across our various sites in the UK. Here’s just a few things we have been doing. A big part of this company is our continual and insistent approach to our team wellbeing and safety. We have developed a new approach to the safe access to specific pillar clocks for example, revising our method to secure ladders and our working at height approach. We have also developed a simple system to communicate changes to Health & Safety practices, or changes to product or process in the company called ALERT. A young man, we think he is 18, lives on the island and is a self-taught clock enthusiast, carrying out some simple repairs and maintenance on various clocks on the island. 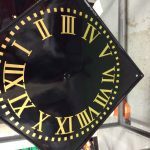 He contacted us in October 2017 and said that he knew that the College clock needed attention but it was a bigger job than he could handle and so he asked if we could have a look at it. We are delighted with the work on our clock over the summer holidays and to hear the lovely pendulum movement resonate once again in our building. In order to maintain the clocks in our building going forward, we would like to set up the maintenance contract with you as quoted in your original estimate. I just wanted to say a huge thank you for the works you have carried out to the heritage clock at Newark. It looks fantastic and has made our MD very happy indeed. 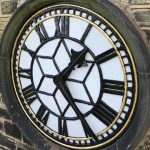 “We are very pleased with the work Smith of Derby have completed to our Church Clock. You installed a pendulum regulator and the clock is very accurate now. We would like to say that Mike Tomlinson did a wonderful job in a very difficult church tower. He was very professional and very helpful. “I have just taken a call from a very happy customer. Mike Robson who owns the site above. He was delighted with the work carried out by Brian Parry and Aaran Daniel. He recognised the fact that Brian was really poorly but put in a good effort. Mike also mentioned that the vans were very clean, and the team were well presented and very polite. 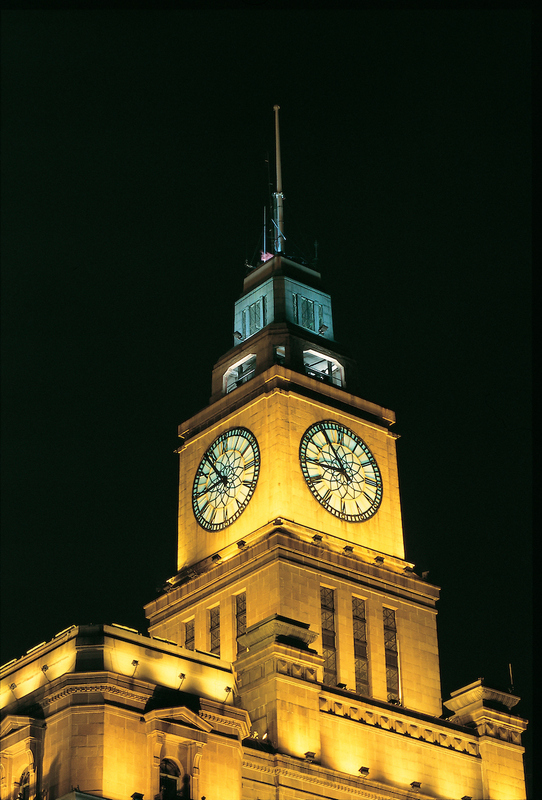 Our wonderful clock on the Customs House on the Bund in Shanghai was recently surveyed by Andy Burdon and Brian Parry. The clock tower offers views over the entire Bund and Shanghai city centre. It has four faces, each made up of more than 100 pieces of glass. The diameter of each is 5.3 metres, each with 72 automatic lamps. Created by JB Joyce & Co. in 1927 and to this day it remains the largest clock in Asia. The 4th – 8th of March was National Apprentice Week, something we are very passionate about as we have had a strong affiliation with the apprenticeship programme since the company began. The team have been busy restoring Derby’s historic Harrison clock for installation in the new Museum of Making (at the Silk Mill in Derby) when it re-opens to the public in 2020. The Harrison turret clock was first installed at Derby Guildhall in 1842. Its movement was designed by clockmaker, James Harrison of Hull (1792-1875), the great-grandnephew of John (Longitude) Harrison (1693-1776) who famously invented the marine chronometer to calculate longitude at sea. The clock was retired from the Guildhall in 1976 and moved to the former Industrial Museum as a nonworking exhibit where it later went into storage. Its fortunes changed with the current development of Derby Museums and the clock is now undergoing conservation and restoration with our team. You will have seen representatives of the museum in the works from time to time recently watching our progress and using the project to publicise their own museum development. The clock is an unusual example of its type as a hybrid, with all the hallmarks of James Harrison, but featuring 19th century workings from ourselves, including a Smith of Derby nameplate. “This beautiful clock, previously maintained by Smith of Derby while in the Guildhall all those years ago, will now sit proudly on the ground floor of the new Museum of Making, working for the first time in over 40 years. 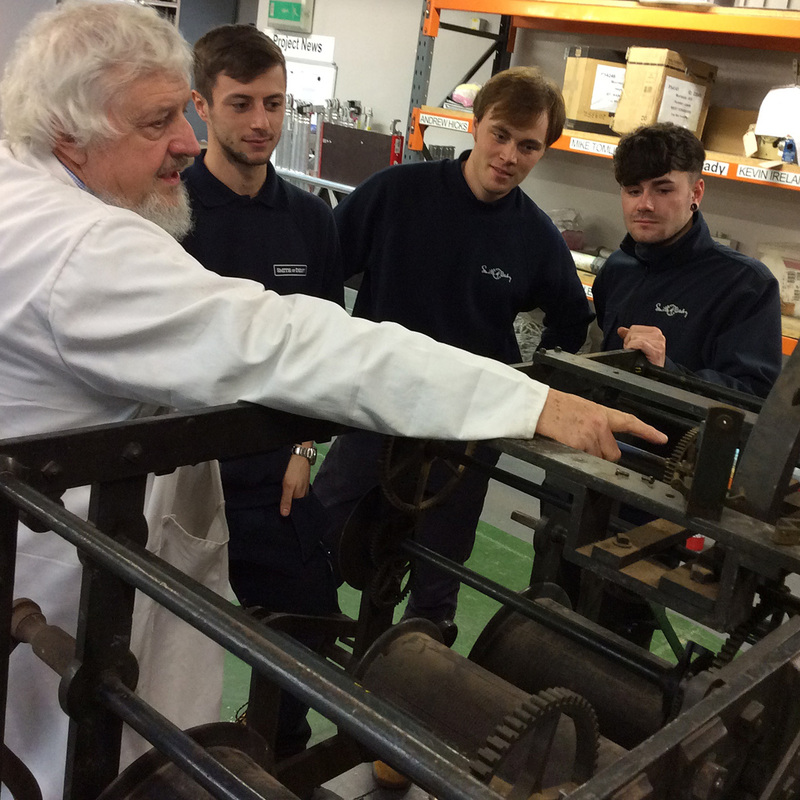 Smith of Derby apprentices working with clock advisor Chris McKay on the Harrison Clock. Restoration work on the Harrison clock is near completion and the clock is expected to return to the Museum of Making in working condition once the interior fit-out of the building has been completed. We are delighted to be working with the University of Derby as part of their Driven Programme, a scheme offering internships to students at the University to help them gain vital experience. We are delighted to welcome Silvia Marabelli, a marketing graduate from the University of Derby. Silvia will be with us for the next month working with the marketing team at Smith of Derby.